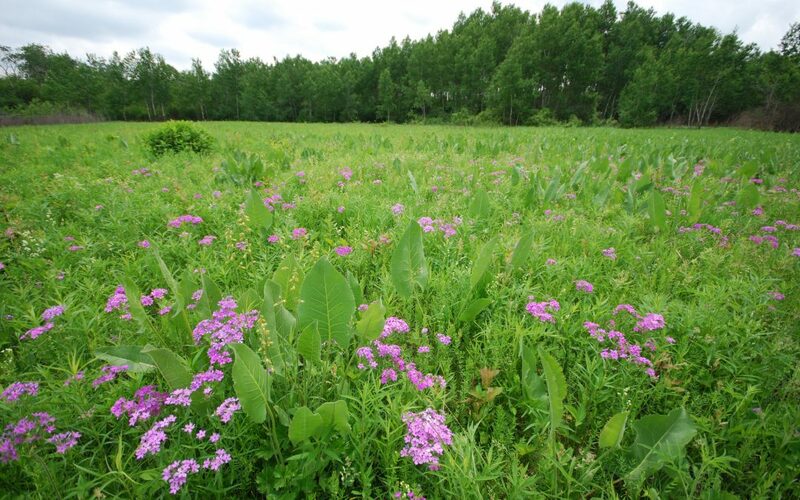 At the Natural Resources Foundation of Wisconsin we dedicate our efforts to supporting restoration work at many of Wisconsin’s 673 State Natural Areas. We recognize that some sites need more work than others and we want to make sure that we live up to our commitment to protect the most imperiled lands, waters, and wildlife in Wisconsin. In order to do that, we partner with the Department of Natural Resources and other stakeholders to set our conservation priorities. State Natural Areas contain the highest-quality remnants of Wisconsin’s native landscapes and provide safe havens for most of the state’s species of concern and rare ecological communities. Many are embedded within state parks, forests and wildlife areas. Whether you enjoy hiking, botany, birding, or just being in the outdoors, you can do no better than to explore State Natural Areas. We start with the Conservation Opportunity Areas identified in the Wisconsin Wildlife Action Plan as our framework for setting site priorities. State Natural Areas Program (at DNR) staff identified the most urgent needs at State Natural Areas that lie within these Conservation Opportunity Areas, and ranked those sites according to need. The resulting list of State Natural Areas, encompasses thousands of acres. The Foundation supports the prescribed burns, invasive species control, planting, and other management activities needed to restore and maintain the integrity of these sites. With help from our members and grantors, we commit tens of thousands of dollars every year to this effort. Nearly every dollar the Foundation provides to DNR’s State Natural Areas Program is matched, making these contributions reach even farther and generate more meaningful results. According to Matt Zine, DNR’s statewide State Natural Areas specialist, this strategy makes a real difference at State Natural Areas facing a crossroads. These are sites where invasive species populations are still small enough to be managed, or where rare species are still hanging on that can be helped by management. Crews want to get in there right away so they can control invasive species and conduct prescribed burns to help rare species hang on and perhaps even expand. Foundation efforts to support State Natural Areas began in earnest in 2004 with the launch of a 10-year campaign to help manage these important properties. David Clutter, our Lands Program director at the time, helped to form Friends groups for three SNAs and secured a three-year federal grant to develop the WisConservation Corps, an AmeriCorps program that provided 46 young professionals with valuable experience helping DNR and several nonprofit partners manage SNAs. Foundation members and donors should be proud of the significant impact we have collectively made, and will continue to make, on Wisconsin’s native landscapes. Together, we are ensuring these places will remain critical refuges for rare species and special places for future generations to connect with our rich cultural and ecological heritage. Donations can be made directly through WisConservation.org.